You want to apply for a credit card, or a store card. Or you are thinking about taking out a small loan. You know that a credit score will be important, so you check yours. And lo and behold, you don’t actually have one! Finding out you don’t have a credit score can be frustrating. And it will certainly mess up any immediate plans you have to gain most forms or credit or loans. But don’t worry too much – you have what many people don’t; a great opportunity to build a great credit score from scratch. But, if you pay bills, and have a job, you may still not quite understand why all of that hasn’t built you some kind of credit score. Doesn’t your bank account count? Or the fact that you always pay your electric bill and your rent on time? Understanding the two biggest reasons why you might not have a credit score will help you understand your financial situation better. Once you do, you can begin building a really good one. Anyone’s credit score is a three-digit number based on information from your credit report, and this score can, and does, vary slightly from one credit reference agency to the others. And in most cases the higher this number is the more attractive you are as a borrower to banks and other lenders. A high credit score isn’t a guarantee you’ll be accepted for credit though. Many lenders do take the information on your credit report into consideration, but also consider all of the other information on your application form and any past dealings, you may have had with them. Some also have their own credit scoring criteria that are something of a ‘secret sauce’. It may sound like a bit of a no-brainer, but in order to have a credit score, you must have a credit report. And to have a credit report, you must have a credit history. Your credit history begins when a credit provider reports information about you to one of the UK’s three credit reference agencies – Experian, Equifax and CallCredit. If you’ve never used credit in the UK, you won’t have a history. No credit history means no credit score. You had a fab credit rating back home, so what gives? Sadly, it doesn’t matter how great your credit was before, credit reports and credit scores cannot be transferred from one country to another. If you are a new resident of the UK it may be up to six months (or more) before the credit agencies even acknowledge you exist. You may have never used credit before. This could be because you’re young, or just haven’t needed to. Maybe you use a joint credit account but your name isn’t on it as an official account holder. 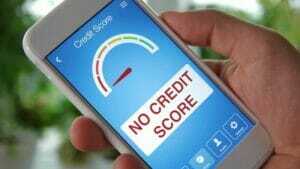 This is something that will need to change in order for you to get a credit score. Credit reference agencies don’t usually disclose your credit report and score if you’re under 18. In any case, it’s unlikely you’d be allowed to take out credit if you’re underage, because lenders can’t sue you if you don’t pay. So What is a Credit Account? The second reason you might not have a credit score is the opposite of the first. You’ve had UK credit accounts in the past. But that was a long time ago and all of that information no longer counts. When you close a credit account, it remains visible on your credit report for six years. However, after six years it disappears. So, if you close all your credit accounts and don’t open any new ones, you may eventually not have a credit score anymore. So How Am I Going to Get a Credit Score? Apply for a secured credit card. You’ll need to make a cash deposit and your credit limit will be low, but if you use this kind of credit card responsibly it can help build a credit score quickly. Take out a small short-term loan. There are short-term loan lenders – like Loan Pig and our partners – who are willing to work with people with no credit score if they can meet other income and ID verification standards. Taking out a small short-term loan and paying it back on time according to the loan agreement will help get you on the road to having a credit score too.